The Kabeer temple has been sealed since 2015, leaving Hindu community of the area in shock. 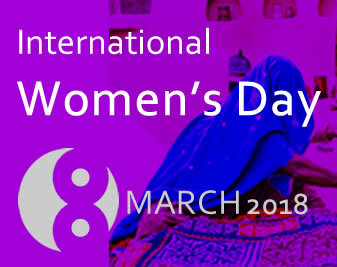 Hindu community has lived in the Cholistan Desert for centuries and temples form an integral part of their lives and culture which can’t be imagined without mentioning the temples. In recent times, the Hindu community has faced the brunt of the fallout of the precarious security situation as the authorities asked them to arrange security of the temples on their own. 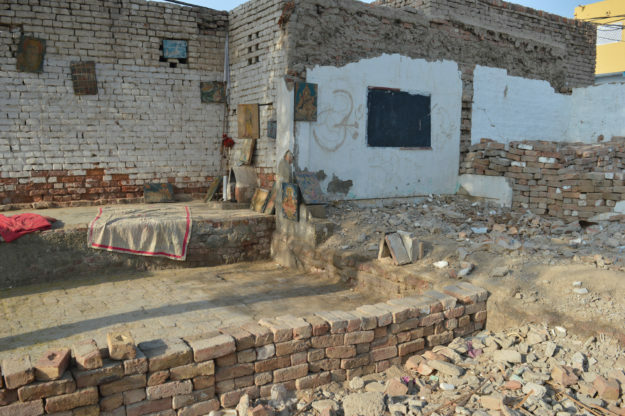 As a result, the centuries-old Hindu temples of district Rahim Yar Khan present a scene of abandonment and desolation. There are around 20 Hindu temples in the district. 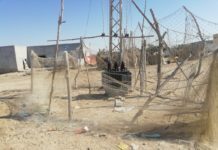 The community arranged security for some of the temples in the main towns on their own whereas many village temples have been sealed citing lack of sufficient security in place. 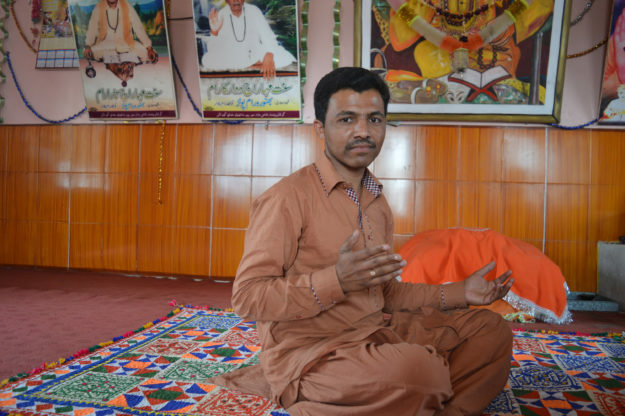 On the issue of temples security, PakVoices talked to the Hindu community who expressed their anxiety and fears in this special report. The district administration office didn’t provide its viewpoint on the issue despite repeated attempts by PakVoices to reach out to them. The temple is in bad shape since closed by the local district government citing security concerns. 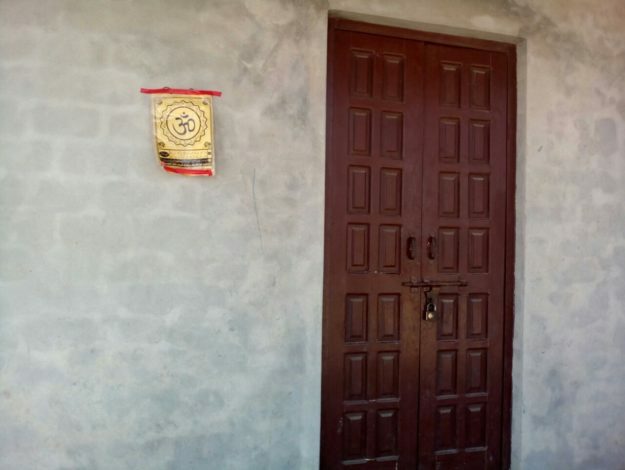 The District Admin sealed Kabeer temple three years ago, as the community couldn’t make any security arrangements on its own. 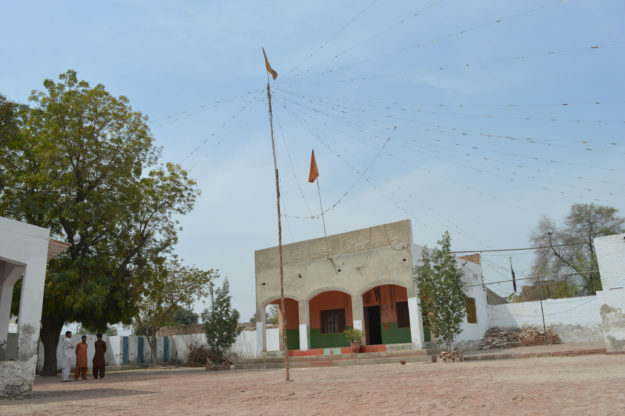 It was the only place of worship for the Hindu community in Aman Garh. 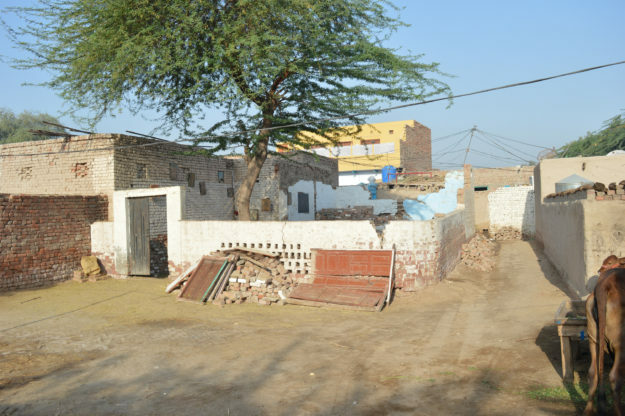 The minority Hindu community told PakVoices that they don’t have enough resources to provide security on their own. These conditions are hard to be fulfilled by the poor minority. Since the closure of the temple, the Hindu community has been forced to remain confined to their homes for worship. The minority Hindu community couldn’t meet these terms and the district admin started taking action by sealing the temples. “We appeal to the government to provide security to the Hindu community so that we could celebrate our festivals and go to worship freely. Sadaram temple is opened briefly for worship, then closed immediately after that. The Sadaram Hindu temple is open for worship at present, but the minority fears that it could be closed anytime. He said that every other day, the temple management receives orders to enhance security measures. Hindu community managed to arrange some security of the temple, which has kept it open so far. The minority is running a fund drive to save the temple from being sealed. Eshwar Bhaggat temple remains closed for three years, which is the only temple in the area. 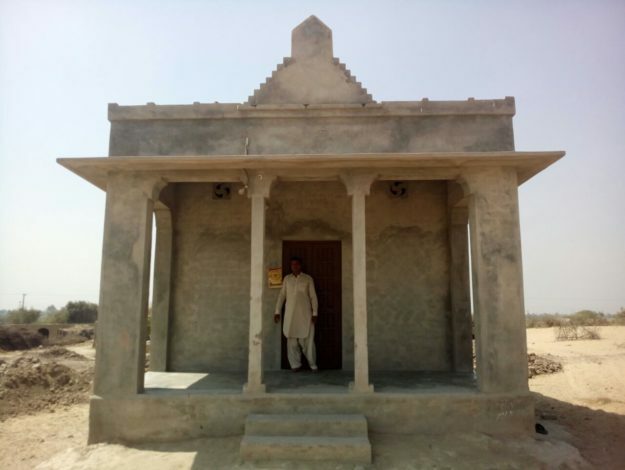 Eshwar Bhaggat temple is located in village Mideena Bismallah Pur, Rahim Yar Khan which has remained closed since December 2014. According to the Hindu community, the District Police Office has issued strict orders for arranging the security of the temple. 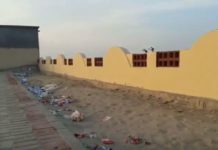 The order says that those temples which do not meet security conditions of boundary wall and other safety procedures must be closed for worship and religious gatherings. The estimated cost for providing security is more than 8 hundred thousand rupees. The Eshwar temple is the only place of Hindu worship in the area and it has remained closed for the last 3 years for lack of boundary wall. 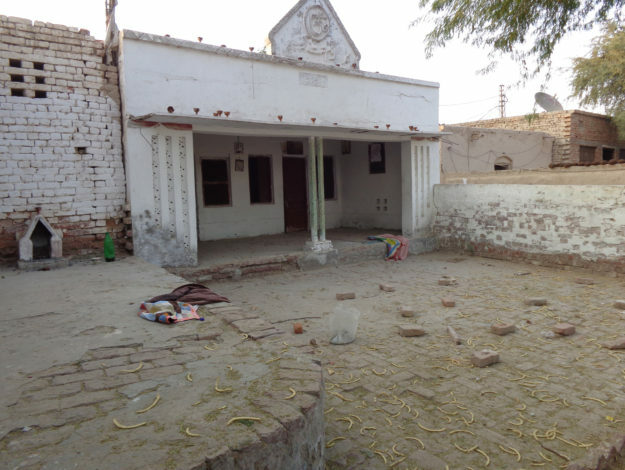 According to the Hindu Community, a few years ago the same temple was damaged by criminals and terrorists, harassing and terrorising the community warning them of dreadful consequences. But the local community stood up against such attempts and managed to secure their temple with the help of the government. 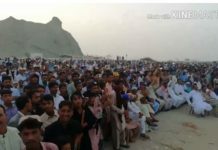 The DCO Rahim Yar Khan, Suqrat Eman Rana was contacted a number of times for obtaining the official view concerning the security issue of Hindu temples, but his office avoided to provide a response. Dharmindar Balaaj, PakVoives reporter went to the DC office in person. The DCO declined to meet him after many hours into waiting. 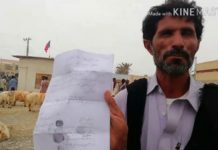 Dharmindar Balach, PakVoives reporter went to the DC office in person but the DC declined to meet him after he was making him wait for a few hours. Coordinator DCO office and Assistant Commissioner, Riasat Ali, referred him to security branch of Intelligence Bureau. However, the officials in security branch said that the concerned office is the district administration as they issued orders to seal the temple. 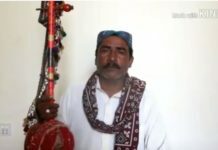 Dharmindar Balach works as a citizen journalist for PakVoices from Rahim Yar Khan.